Instead of spending this morning reviewing a product, I choose instead to review being thankful instead. This emotion is not something that can be purchased but instead is a choice that we make every single day, not just on Thanksgiving Day. Well, at least that is what I think. It is a choice whether we realize it or not. For me, every morning when my eyes open I humbly say a prayer of thanksgiving for being on this side of the dirt for at least one more day. I do look at each day as a precious gift and promise each morning to try to make the best of that day as is humanly possible for me to do. Sometimes our lives seem to be filled with obstacles that could make us choose to be bitter, sad, angry and lost. Holidays, often times, bring our negative emotions closer to the surface. We find ourselves being depressed due to the loss of someone close to us that won't share the holiday with us. Perhaps we are far away from home and family and are heart broken with the thought of being alone during the holiday. I know those feelings well, more than I like to remember. I can empathize and sympathize with all who feel that way as Thanksgiving approaches with Christmas not far on the horizon. There was a time in my life when I wasn't sure that Thanksgiving, in particular, would ever be a happy time for me again. At the time my life was forever altered just two days before the holiday. I feared that this time of the year would forever be darkened by that horrible event. I realized the following year that it would only be darkened if I let it. I could sit around and feel depressed or I could make the choice to look for the people and things in my life to be thankful for. It wasn't hard to see hundreds of reasons to feel grateful and thankful. I made up my mind that year to always look for the good and wonderful things in my life. So, this year as every year, I am most thankful for my beautiful family. My children, my grandchildren and my loving husband fill my life with joy every day. I am thankful for a roof over my head and food on my table. I am thankful for good health and an abundance of friends. I am thankful for each day that my eyes open. There are people who are not on this earth to share the day with me this year but I am thankful for the time that I did get to share with them and I know that they are here in spirit and will always be in my heart. I won't be saddened by the things that are lost but will be happy with what is here and look forward to what is to be found. I am thankful for it all. For those of you who are reading this, my wish is that your Thanksgiving will be filled with joy and happiness. Actually, my wish is that you find something to be thankful for every day. Just remember to look, it shouldn't be too difficult to find if you open your heart. A lovely way to wish us all a Happy Thanksgiving, Beverly. Thank you. Sending best wishes for the holiday to you too. The holidays can be especially difficult. Some years we do have to force ourselves to focus on the things we have to be thankful for and giving thanks for our blessings, present and past. There are always moments when those memories of loved ones flood my mind. But, as you say, I force myself to be thankful for the time we had and refocus on the present. I pray you have a wonderful Thanksgiving, Bev. Thank you for the timely reminder to live in the present. What a wonderful Thanksgiving review. A timely reminder for us all. Thank you Beverly I am thankful for you and the rest of the Review This staff. I so agree with all you said here. There are definitely people I will continue to miss this year, but I'm thankful to still be here, to have my husband, and to have my brother's family to spend Thanksgiving with. As you say, we can choose to focus on what we have lost or on what God continues to provide for us. How very well put Beverly. We can make the choice to see the good things or the bad things and I'm so glad you have chosen the good. Our love for our friends and family last much longer than a lifetime and remembering them at these special holidays is a good thing too! May we all stay healthy, happy, joyful and thankful for every day of our lives yet to come! 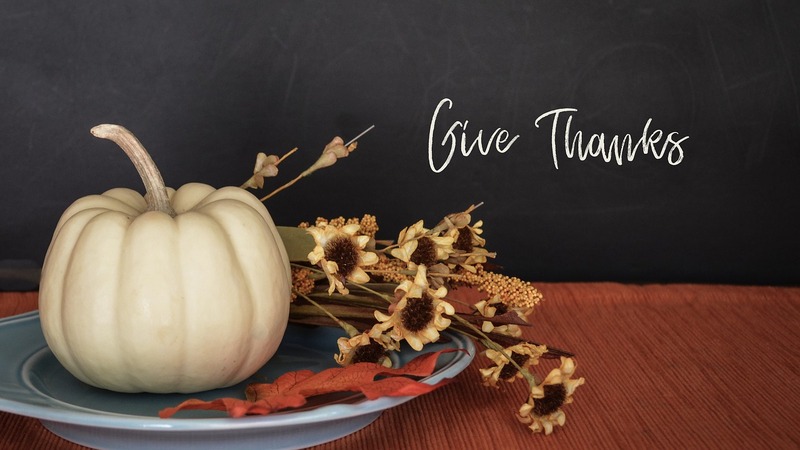 Happy Thanksgiving and Blessings to you! Beautifully said. Age sure has a way of shaping our gratitude. You sound like you truly have a handle on what's important in life. When I think of myself, I think in terms of the human collective. How we're all striving, yet it's the connection with each other that's ultimately the most important aspect of living. It's not always possible to keep that connection but I do believe just trying to is better than hopelessness. Thanks for your thoughtful review.